Most often, I ride my bikes by myself. Whether I am riding a road bike or a mountain bike, I tend to like a style of riding that suits me, but does not seem to suit a lot of other bicycle riders. Over the years I have found good riding partners. My oldest son and my 3rd son are great riding buddies. They are both strong and athletic. Of course, they call me "old man", which is pretty accurate. I also have a few friends that are riding partners. My friend Jason is an ex-road racer and is still pretty fast. My mountain biking buddy, Steve, is an ex-cross country mountain bike racer and can take on anything the mountain dishes out. Steve and Jason ride road bikes and mountain bikes. They are skilled in both disciplines. My daughter in-law needed some cycling shorts. On Friday, June 10th, 2016, I drove to the Performance Bike Shop in Littleton, CO, to buy her a medium set of ladies cycling shorts. The sales guy that helped me select a good pair of ladies cycling shorts mentioned that at 9:00am on Saturday, June 11th, Performance Bike was hosting a monthly group ride and asked me to join. 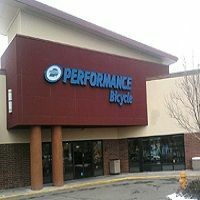 This is a photo of the Performance Bike shop in Littleton. This is a huge shop with a good staff. I really hadn't planned to go on this group ride. But when I woke up the next morning, on a whim, I got dressed in my cycling stuff, threw my bike on the rack and headed to the group ride. I think I lost my mind. I had never biked with people I did not know. We gathered in the parking lot of the Performance Bike Shop. Every rider was immaculately dressed in perfect road attire. Their bikes were the latest high-performance machines. 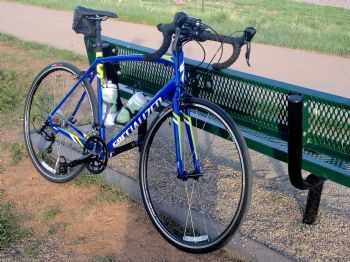 My Specialized Allez was by far the lowest-end bike there. I took this photo on a previous solo ride. I was on a budget and got the best bike I could find for under $1,000. One fellow stood-out. His name was "Joe". He was tall, slender, and very muscular. He had a titanium bike with a Shimano Dura-Ace group. He looked like he should be at the Tour de France, not in a parking lot in Littleton, CO. I estimated he was in his late 20's or early 30's. Another rider had a Specialized S-Works Tarmac, which is a top-end racing bike and cost 10 times what my bike cost. The whole group looked like they were ready for a race. Each rider was wearing expensive brand name kits. I was wearing road cycling shorts but had on a baggy mountain bike jersey. I had a road helmet, but was wearing mountain bike gloves. Although I have a complete road kit, I am more comfortable in mixed mountain and road apparel. The sales-guy that sold me the cycling shorts for my daughter in-law was leading ride. 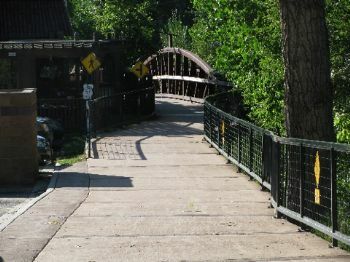 He told the group that we were going to ride the Bear Creek bike path and gave some cryptic directions that meant nothing to me. My fellow cyclists all nodded. 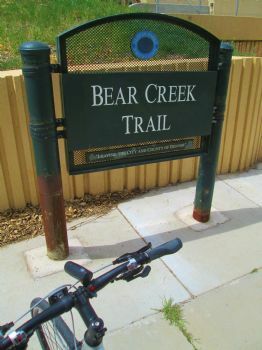 I had never been on the Bear Creek bike path before, which is the main reason I joined the group. I wanted to find new places to ride. Without warning, everybody took off like they were shot out of a cannon! Not wanting to be dropped, I quickly caught up to the group. I settled into last place in the group of super cyclist. The leader weaved through some residential streets until we came to the entrance to a concrete path. 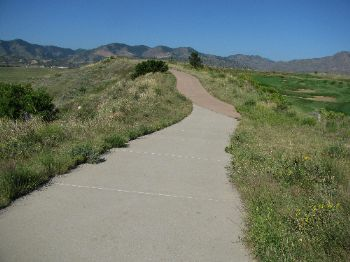 The Bear Creek trail is well marked and nicely maintained. We started down the trail, and to my surprise, I had to keep hitting my brakes so I would not run into the cyclist in front of me! I was not particularly pleased to scrub speed and lose energy by braking! I even had to brake when we started climbing. The group had spaced-out so I started passing the slower riders. I wanted to hit my optimal cadence, which is 95 to 100 revolutions per minute. Riding in the back of the group I was barely spinning 60 rpm. I have a sensor on my crank that displays my cadence on my speedometer. Before I got the cadence sensor, I was convinced I was a pedal masher. I was surprised that my average cadence was over 90 rpm, and my sprint cadence was over 126 rpm! There were 12 cyclist in the group. I passed everyone except Joe on the titanium bike. I settled-in behind the leader. Joe asked me if the rest of the group was behind us. I said, "Yes, but they are back a ways". The trail has a lot of curves and it is hard to see how far back someone is if they are not directly behind you. Joe and I found a good place to wait for the rest of the group. And we waited and waited. Finally, the other members of the group start trickling in. The sales guy from Performance was riding "drag" to make sure everybody was alright. After a rest period that seemed like an eternity, we started off again. One of the other riders shot ahead of me and put himself on Joe's rear wheel. I found out later that Joe lived nearby and rode these trails a lot. Joe was leading and the Performance sales guy was riding in the very back in case something bad happened. I thought that was a good system. Soon the guy right behind Joe started to fade. I passed him and got behind Joe again. Although Joe and I didn't know it, that was the last time we saw the group. We found out later that the rest of the group did not complete the 25 mile ride. They turned around. The guy from Performance led them back to the shop. 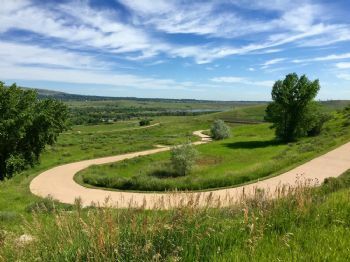 Colorado is not flat. Even though we were riding on a relatively flat spot of the state, there was plenty of climbing. Joe and I rode 25 miles and climbed 1,450 feet. Unfortunately, the 1,450' climbs were all in one place. As Joe and I leisurely rode up the hills we figured that we could spot the rest of the group. Even in the winding part of the trail by Bear Creek we were sure they were right behind us. When we got to the top of highest hill we could see many miles of the trail below us. Our group was not there. We were puzzled. We were exactly where we were supposed to be. We had not gone that fast. The group speed was supposed to be 15 miles per hour and Joe and I had average only 14.9 miles per hour. We took-off and zipped back to the shop. We got a little competition going. I couldn't pass him and he couldn't shake me! The shop was going to providing lunch. The rest of the group rode half the planned mileage. They had come back early and ate lunch. Now we were told that lunch was over. We were on time for lunch. Actually, we had made it back before the planned lunchtime. The other cyclists had polished-off all the food! Even though I had a surprisingly good time, I don't want to participate in any more group rides. When I ride with friends and family, there is always a little friendly competition. When I ride by myself, I try to push my limits. My inexpensive bike is plenty fast. The bike does not make the rider - The rider makes the bike. High-end bikes and fancy kits do not make up for determination, heart and effort. Here is a bike I passed on. 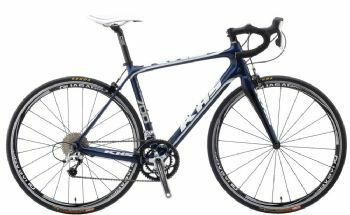 I had the chance to by a new 2014 KHS FLITE 700-1000 Carbon Fiber wonder bike at a huge $800 discount because it was a leftover bike. This bike is an amazing machine but was $400 more than I wanted to spend. I am pleased I bought the less expensive 2016 Specialized Allez E5 Sport. My cheap bike works just fine. What a bunch of selfish people in that group! They couldn't leave you enough for a sandwich or a few snack foods? No wonder you do not want to go again. I would let the store clerk know why. I know I am coming across your blog over a year late, but I really enjoyed your tale. I am not a fan of group rides myself. I hope have enjoyed many more rides. No fair you missed lunch You earned lunch! Apparently no one else did. All that fancy expensive gear means nothing except you look good. It doesn't mean anything for performance apparently. Maybe you aren't such an "old man" after all! You've still got it, Bruce! Truthfully, it always gives me a little chuckle when I see these cyclists in their perfect road attire and high end bikes. Most can't live up to the hype. Truth, the bike does not make the rider. What an awesome blog! I loved it! I am glad you had a great time. Are you going to ride with Joe again? Sounds like you had a great ride! I too do not like riding in group rides. I like to go at my own speed, stop when I want, change routes as I go along and just let the bike take me where it takes me. Great job!